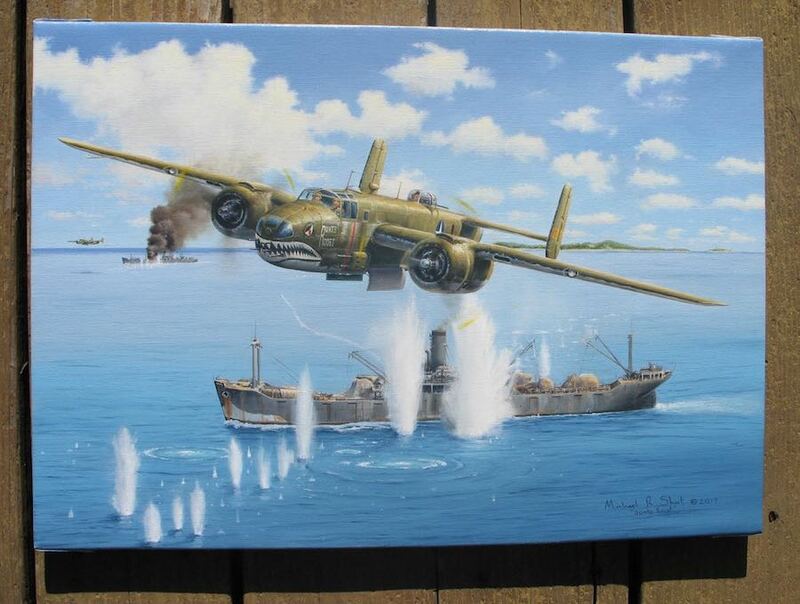 Original B-25 Painting "Runts Roost"
This spectacular original oil on canvas painting is a action packed depiction of a flight of B-25's attacking Japanese shipping off Papua New Guinea. Runt's Roost was flown by Lt. Joseph "Runt" Helbert with the 90th bomb squadron, 3rd bomb group. The crew of "Runt's Roost" #41-29727 consisted of: Pilot Ð Lt. Helbert, Co-pilot - F/O Ladd, Gunner S/Sgt Epperson, Radio Operator Sgt Piper, Engineer T/Sgt Mack H. Nealy (#7002630) A.E. S/Sgt Rush. 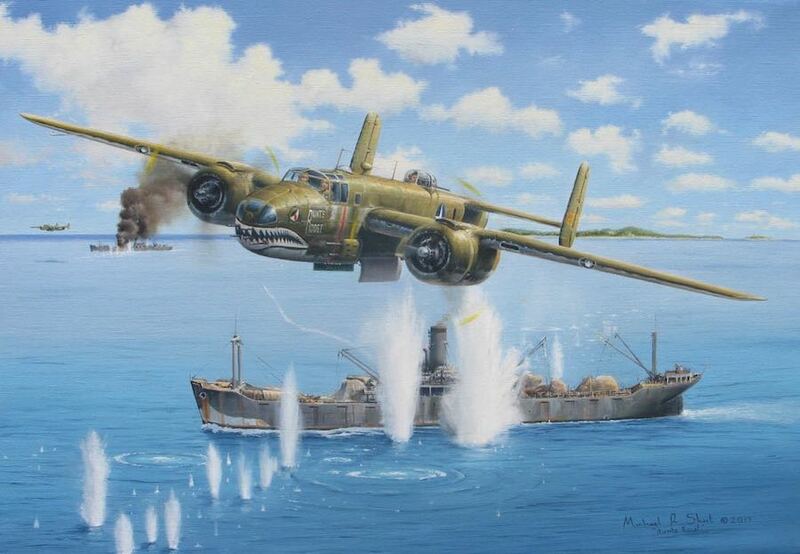 This amazing painting would make a fantastic gift for any WW2 Veteran or Veteran's family member, especially for those that flew during the war. Approximate Image size: 20" x 14"